As is well known to readers of this blog, the issue of prisoner voting has been a long running and high profile saga. The Justice Secretary, Chris Grayling has argued that it is a ‘totemic issue’ that shows how the ECtHR has ‘lost democratic acceptability’ (Guardian, 20 Nov 2013). However, this issue can only be understood against the background of concern about the Convention. David Cameron captured this feeling when discussing the Bill of Rights Commission by arguing that it is ‘about time we started making sure decisions are made in this Parliament rather than in the courts’ (BBC News, 16 Feb 2011). At its broadest level, prisoner voting shows how the core principles of the UK constitution, parliamentary sovereignty and the rule of law, can collide with each other. Given the combination of law and politics that pervades this issue, it was natural for the UK Constitutional Law Association and the Study of Parliament Group to hold a joint event to explore the issue in depth, but thankfully, one step removed from the more frenzied political debate. We were fortunate to have four speakers who have been involved in different aspects of the debate. The discussion was started by Colin Murray, Senior Lecturer at the University of Newcastle, who was the Specialist Adviser to the Joint Committee on the Draft Voting Eligibility (Prisoners) Bill. He was followed by Dr. Michael Pinto-Duschinsky, Senior Consultant on constitutional affairs to Policy Exchange, who was a member of The Commission on a Bill of Rights. Jeremy Waldron, Chichele Professor of Social and Political Theory and Fellow, University of Oxford, All Souls College and University Professor, NYU School of Law, drew on his evidence he gave to the Joint Committee on the Draft Bill. The final speaker was Aileen Kavanagh, Associate Professor, University of Oxford and Tutorial Fellow at St Edmunds Hall College, has in her research, considered one key feature of Hirst, which is what weight the courts should place on the parliamentary discussion of human rights (or lack of) when assessing legislation for compatibility with human rights. The aim of this event was to discuss the broader questions that surround this issue. 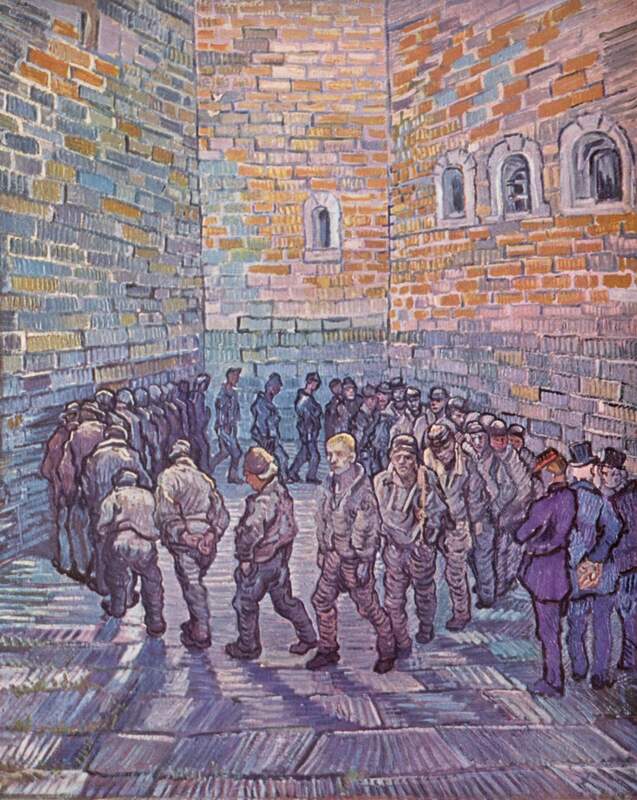 For a discussion of the specific issue of whether prisoners should receive the right to vote, the reader should direct their attention to Alison Young’s previous post on this blog, Prisoner Voting – Human or Constitutional Right? And to the exhaustive report from Joint Committee on the Draft Voting Eligibility (Prisoners) Bill). Colin Murray argued that in Hirst, the ECtHR was rather careful in its judgment, and that they toned down the decision in the Scoppolajudgment that followed Hirst. The court held that the current law went too far, and hoped that the UK would respond to remove the ‘blanket ban’. In many ways, prisoner voting flags up the rigidity of the proportionality test. It is very difficult to argue that a complete ban was proportionate and necessary to achieve a legitimate aim. In this way, the proportionality test can yield some strange decisions on moral issues. The argument from the British Government in Hirst, that this was simply a political question, to be decided through the political process and not the courts, simply did not wash with the ECtHR. Murray then discussed the legislative response, in particular the Joint Committee on the Draft Bill that reported on 18th December 2013. Their conclusion was that those sentenced to twelve months or less and those in the last six months of their sentence should get the vote. As Jeremy Waldron stated, this seems a reasonable compromise. However, we are still waiting for the government’s response to the report. It was a notable absentee in the Queen’s Speech for the last session of this Parliament, suggesting that this has been kicked into the long grass again, perhaps until after the general election in May 2015. This issue tells us about constitutionalism in the UK, the role of principle of parliamentary sovereignty and its counterweight the rule of law. Prisoner voting tells us where that system is creaking. Fundamentally, the government’s argument is that the right to vote is different from the “right to free elections” as contained in Art 3 of Protocol 1 to the ECHR: it is a privilege granted by Parliament; but the European Court of Human Rights (‘ECtHR’) is clear that today, voting is a right, and you tamper with it at your peril. The Government thinks it has a strong hand, and can put the ECtHR in the corner, and clip the wings of the Convention, but the Government has taken a more difficult position than they believe. The Joint Committee on the Draft Voting Eligibility (Prisoners) Bill took the view that voting is a right, and should not be removed without a good reason. Murray argued that it is the defining legitimating factor that justifies parliamentary sovereignty. Tamper with this, even slightly, at your peril. When the Reform Act of 1867 moved the jurisdiction of hearing election petitions (the legal process by which an election result can be challenged) from Parliament to the courts, a rash of extra cases was feared. Yet, this did not happen, and cases such as Watkins v Woolas are rare. Even then, the courts are castigated for this, just read Michael White’s comment on that case in the Guardian. Generally, courts don’t want to get involved in the political process and the line of judgments from Hirst to Scoppola in many ways follow this tradition and are timid judgments from the ECtHR. The courts, rather than undermining parliamentary sovereignty, are striving to protect democracy at all costs. A constant failure to heed warnings such as this could blow parliamentary sovereignty apart as the legitimating factor of parliamentary sovereignty is compromised. Michael Pinto-Duschinsky focused on the broader issues that prisoner voting raises and discussed the architecture of human rights protection. Drawing upon his experience on the Bill of Rights Commission, when he was ‘surrounded by lawyers’ he wanted to avoid a debate about the terms of reference and categorically stated that the issue is not prisoner voting itself. The real issue is who makes the final decision, and the interesting aspect to this debate is that people with many things in common can have polar opposite views. Pinto-Duschinsky compared himself to Lord Lester of Herne Hill, who was one of the most vociferous campaigners for the Human Rights Act. They were both shaped by the holocaust, abhor torture, have campaigned for rights and were engaged in the battle for civil rights in the Deep South during the 1960’s. However, whereas Lord Lester sees the law as being the key to achieving human rights, Pinto-Duschinsky, while acknowledging the valuable role of courts, feels that they are no more infallible than legislatures. He argues that, in a democracy, court decisions must be capable in some circumstances of a democratic override by the legislature. Pinto-Duschinsky highlighted how for every example in favour of the courts having the final say as opposed to the political process, an example can be found that goes the other way. The example given by Sir John Laws in his celebrated article, ‘Law and Democracy’ ( PL 72) of the Athenians, under direct democracy, sentencing to death eight commanders for the loss of their crews in bad weather during the battle at Arginusae, can be can be contrasted against the verdict of the US Supreme Court in Dred Scott v Sandford 60 US 393 (1857) which was a significant contributing factor to the Civil War. The idea that judges equal good, whilst democracy equals bad, is far too simplistic. Both play a role, but issues such as prisoner voting should ultimately rest with the legislature. Courts, such as the ECtHR, which have little democratic legitimacy, should be careful when stepping into political territory such as this. Jeremy Waldron agreed that prisoner voting has to be settled by Parliament, it’s not an issue like abortion which could be settled by a court: it must be settled legislatively. ‘Settled legislatively’ has a specific meaning. Although a vote was taken in the House of Commons with 234 to 22 votes in favour of retaining the ban (HC Deb, 11 Feb 2011, Vol 523, Col 492-586,), that cannot settle the issue legislatively. Settling a matter legislatively requires the due process that legislation represents, the rhythms of the legislative process, of the Second Reading, Committee, Third Reading and Report Stages in both the chambers of Parliament. However, Parliament must acknowledge that they are talking about rights. In particular, voting has been described by some, including William Cobbett as the ‘right of rights’. When rights are at stake, Parliament should proceed more carefully. There is a need to avoid knee-jerk reactions. British justice is wonderful, but not on all matters. There is no harm in having issues flagged up by the courts, in a weak system of judicial review, where the courts do not have a final word. In this sense, judicial review is a canary in the mine, a warning system to alert parliaments to problems. . It must be emphasised that this is a right that goes to the heart of democratic legitimacy. Parliamentary sovereignty derives its legitimacy from being elected by the citizenry, which in turn, requires that citizens possess the right to vote. Parliament depends on the rights of millions to vote for its authority and legitimacy. As John Hart Ely stated in Democracy and Distrust, there is a case for a strong form of judicial review when a discrete minority has been shut out of the representative system. Arguably, the issue of prisoner voting complies with those requirements. This does not mean that courts should consider it at the expense of Parliament, but that Parliament should consider the courts’ perspective. Majorities are not incapable of resolving flaws of a majoritarian system. However, they must avoid the knee-jerk sovereignty based attack that argues that the court is overstepping its jurisdiction at the expense of national parliaments. Such issues need to be addressed in a sober deliberative spirit, and constitutional arrangements that allow that to happen should be applauded. Pinto-Dushinsky in response, pointed out that no such reflection took place when signing up to the ECHR in the first place, and no debate took place on Protocol 1, as under the Ponsonby Rule treaties are laid before Parliament without a debate being required (although one can be requested, now see Constitutional Reform and Governance Act 2010, ss. 20-25). There is a conflicting debate about who has the final word, as a matter of law at a domestic level it’s clear that the last word remains with Parliament. Under the Human Rights Act, s 4 (6), a declaration of incompatibility does not affect the validity of the Act of Parliament in question. But politically, politicians treat a declaration as a strike down power. As a matter of international law, the final say appears to rest with the ECtHR, and the UK could be liable for damages for being in breach of the ECHR. However as Murray pointed out, the ECtHR has no power to compel those damages being paid. As is common with the UK constitution, it seems that the most appropriate answer would be restraint from all sides. Aileen Kavanagh raised an important question: why out of all the issues with the ECtHR has the Government and Parliament made such a big issue out of prisoner voting? Why has this been the issue over which to fight? Firstly, the issue clearly fits into the ongoing concerns about the ECHR that a large section of Conservatives hold, in particular its consequences for parliamentary sovereignty. But also, politicians have seized upon this issue, because at the very least, they can make the argument that a prisoner, who by definition has not ‘obeyed the rules’ should have no role in formulating those rules and so should not be allowed to vote. In this sense a politician can take, what they perceive to be, a ‘respectable stance’ against prisoner voting, in a way that a politician simply cannot over an issue such as torture. A politician arguing against prisoner voting can claim that they are protecting fundamental principles such as the sanctity of the vote. There is also a basic disagreement over whether voting is a right or privilege, which is available to those who fulfill certain conditions. More generally the issue of prisoner voting fits into the broader narrative on criminal justice of being ‘tough on crime’ and no political party wants to be seen to be the softest on crime. Kavanagh also highlighted how Art 3 of Protocol 1 to the ECHR does not explicitly provide for the ‘right to vote’. It can fit into the criticism that the court increasingly stretches its ‘living instrument’ doctrine too far, and finding a ‘right to vote’ is a big extrapolation from the text. However Jeremy Waldron flatly disagreed with this point, arguing that the Art 3 requires ‘free elections’, held by ‘secret ballot’, ‘under conditions which will ensure the free expression of the people’, in this context, he argues that the ‘right to vote’ is a necessary implication. There are issues with the Hirst case itself. Its highly unfortunate that the domestic case only went to the Divisional Court,  EWHC Admin 239, with leave to appeal refused by the Court of Appeal on the grounds of there being no reasonable chance of success,  EWCA Civ 927. If more judicial muscle had been applied at the domestic level then the ECtHR might have responded differently. Aileen Kavanagh captured the impact of the ECtHR’s judgment by stating that the judges misjudged the politics on the issue. They simply thought that they were dealing with a thirty year old law, which drew on Victorian legislation and the judges did not appear to understand that reasonable people could and did disagree over prisoner voting. The Court drew on previous case law and assumed a right to vote, with little justification being given. They dismissed the fact that thirteen out of 47 member states have bans on prisoner voting, when this could have been a ground on which to apply the margin of appreciation. Another interesting feature is how the Court drew a negative inference from the lack of parliamentary debate on the issue, which, as Lord Sumption suggested in Chester,could in principle be an example of a ‘complete consensus’ [para 136] on the matter. Probably this aspect would be best viewed as a neutral consideration. The Study of Parliament Group and the UK Constitutional Law Association would like to thank all four speakers for a clear and illuminating discussion and Alexander Horne for chairing the discussion. A special thanks should go to Liz Carter at UCL and Jack Simson Caird for organising the event. Craig Prescott is a Teaching Assistant at the University of Manchester and Visiting Tutor at King’s College London. I still maintain that the legislation on Human Rights is confused. It mixes basic human rights, such as the lower levels of Maslow’s hierarchy, which all humans should have, with Civil Rights which can be grated or taken away by the state. Removal of the right to vote is part of a prisoner’s punishment & it is reinstated on release. It does not cause physical or mental harm, it is simply another sanction in the same vein as depriving prisoners of their liberty. This entry was posted on July 9, 2014 by Constitutional Law Group in Events and tagged Bill of Rights Commission, European Court of Human RIghts, Hirst v UK (No.2), Prisoners' Right to Vote.